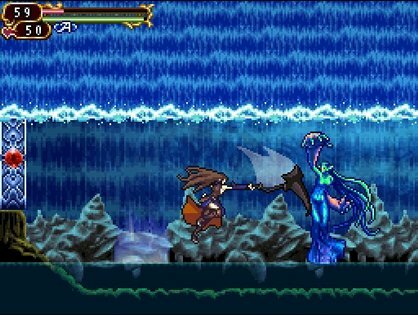 There are plenty of great Metroidvania games, as we’ve already shown this month of Februvania. I’ve loved all of them to varying degrees, as each has excelled in one way or another. 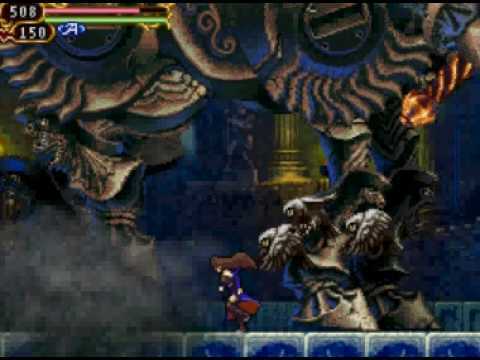 Perhaps one of my all-time favorites, though, was Order of Ecclesia. This entry took place in the early 19th century, with the Belmonts absent, thereby forcing governments of the world to research various countermeasures against the recurring threat of Dracula. This is the story of one group that actually succeeded. Ironic that, in a Castlevania with so many cool Skeleton enemies, Death was surprisingly lame. 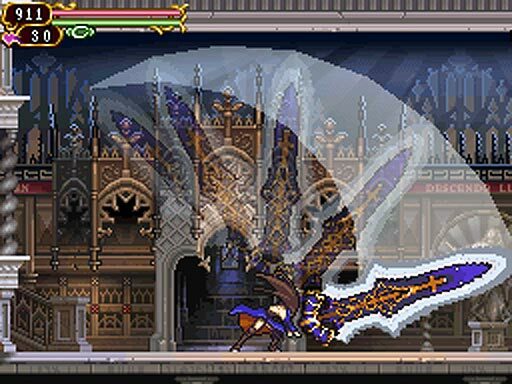 While it goes without saying that my all-time favorite Metroidvania is Symphony of the Night, Order of Ecclesia might be my second favorite. The reason? 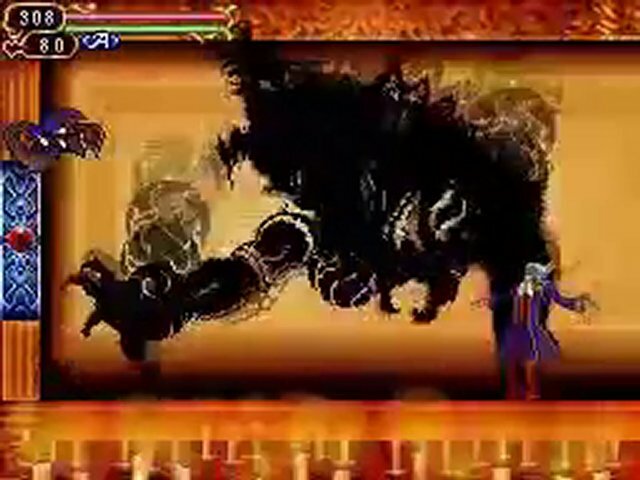 It actually accomplishes something most Castlevania games never attempt – it has a compelling story with great twists, turns and characters. Besides that, it holds a special place in my heart for being one of the most challenging games in the Metroidvania library. 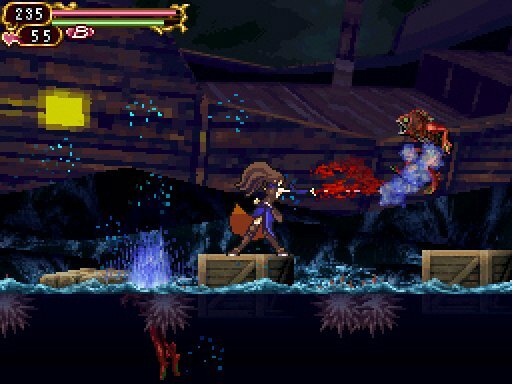 As I noted earlier, Order of Ecclesia focuses on the success of its namesake in finding a countermeasure to Lord Dracula. The game begins with Shanoa, the main character, absorbing magical glyphs of power called “Dominus” into herself. Dominus is the tool with which Dracula will be defeated – something that has taken years of research by Barlowe, the head of the Order, to achieve. But, just as the ceremony is almost completed, it is interrupted by Albus. While Shanoa is the star pupil of Ecclesia, Albus is the mad genius. For some reason, he finds Shanoa unworthy of taking the power of the Dominus, and, not only does he stop her, he also steals the Dominus glyphs from the Order, as well. In the process, Shanoa is robbed of her memory, left little more than a blank slate. Luckily, she still wields her glyph-absorbing abilities, and sets out on a quest to retrieve Dominus and stop Albus. There is more (much more) to the plot than this, but this is all I can reveal without spoilers. Yes, the game has been out for several years, but, for those of you who have yet to experience it, all I can say is the plot is truly a high point, and I would hate to ruin it for the uninitiated. 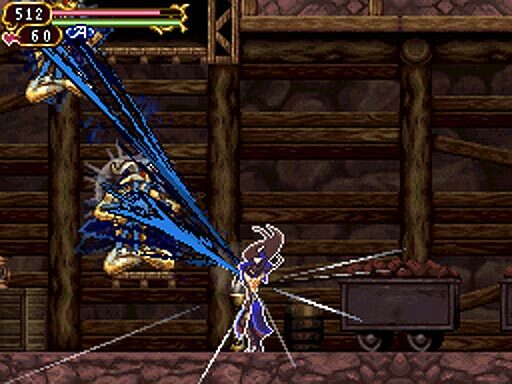 However, I can speak at length about all the other things that Order of Ecclesia does right. First and foremost, it sports the most innovative and downright cool battle system to be found in any Metroidvania title. The Sorrow games were famous for introducing the Soul system which replaced sub weapons. 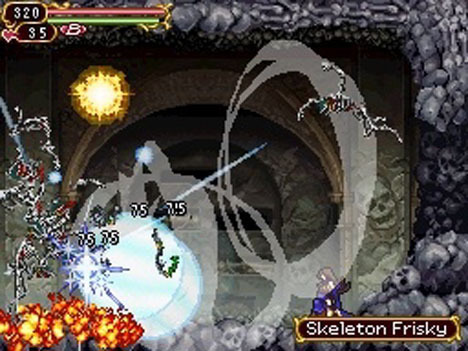 Order of Ecclesia, however, replaces EVERY weapon in the game with magical glyphs. Shanoa is gifted with the ability to see magical glyphs, and absorb them into her body, which then gives her the ability to wield them. This means that every attack you make is dependent on your MP bar. This might sound dangerous, but, luckily, it is handled pretty well, since the MP bar refills at a brisk pace once you stop attacking. Even better, Shanoa is ambidextrous, so she can wield glyphs on each hand, as well as on her back. One of the most basic combo glyph attacks. They are generally huge and hit HARD. This brings us to an interesting feature of the game. Because each glyph has its own MP cost and animation speed, you are encouraged to mix and match different glyphs to form attack combos. You can do simple ones, such as having the same weapon glyph on both arms, or you could mix and match, with one weapon glyph and one elemental magic glyph. Further complicating this is that you can initiate glyph combo attacks by spending hearts, assuming the glyphs you have equipped are complimentary. If not, they will result in a weak generic attack. The back glyphs are constantly in effect, and range from temporary stat boosts to awesome transformations. By now you’re probably wondering where you get your glyphs. Some can be found in random locations, but many others are only found when you slay enemies. The tricky part is sometimes they stick around long enough to absorb, but like in the Sorrow games, this is a random process. Unlike those games, by using Luck-boosting items, you can increase your chances of the glyph sticking around long enough to absorb. Sometimes you can even absorb a glyph as an enemy is casting it, robbing them of their attack! The end result of all this combat complexity is a very challenging, yet rewarding battle system. Many of the other Metroidvania games, much as I love them, are very easy to beat. This is definitely not the case in Order of Ecclesia. Maps are littered with vicious enemies of all sizes to harass and pummel you. Many of them are almost mid-bosses in their own right, except they are free-roaming. Often, these large enemies will take advantage of the closed areas in which you face them, and corner you before proceeding to crush you. Granted, you do level up and improve your base stats, as well as improving them via equipping armor and accessories, but this doesn’t make the enemies much easier. 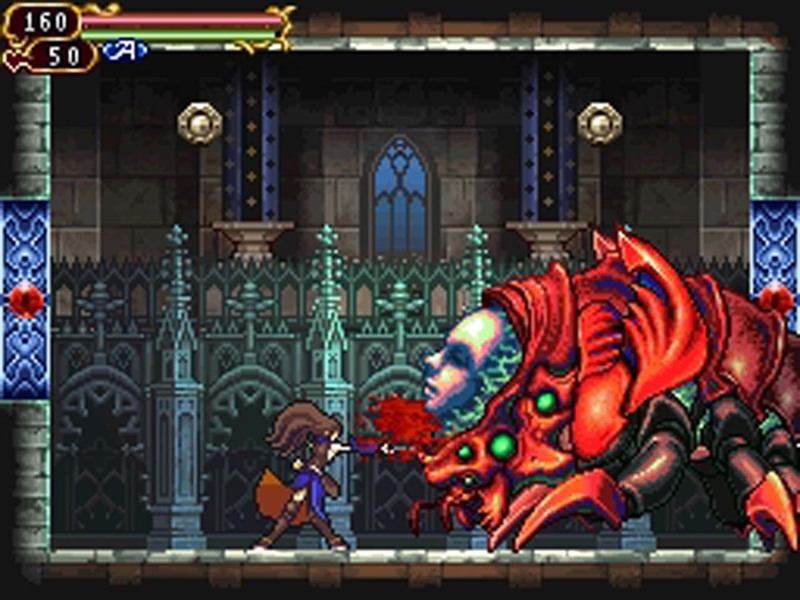 It certainly doesn’t make the bosses easier, as Order of Ecclesia sports some of the most challenging and memorable bosses of any Metroidvania ever, including Symphony of the Night. One especially noteworthy battle takes place against a titanic armored centaur demon who tries to crush you with his hooves and slash you with his enormous sword. You’ll find yourself dying to many of the bosses multiple times before you get their patterns down, and figure out the proper glyph combinations to beat them.